On Wednesday, 4th February 1959 Elvis Presley was at number one in the UK charts and Harold Macmillan was Prime Minister. And in south-east London Dr Tony Deeson founded a small business producing a magazine for the customers of one client - Diners Club, the first credit card to be launched in the UK. 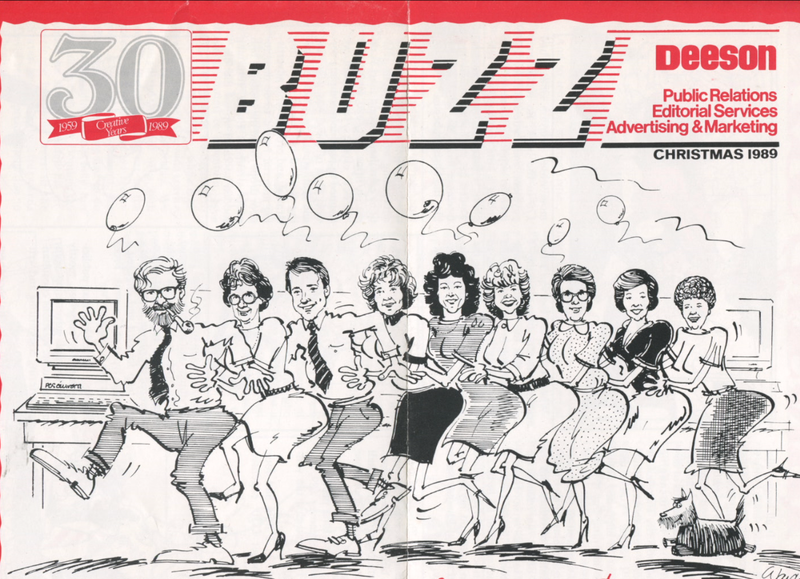 In the 60 years since Tony landed that initial client, the business went on to thrive as a publishing and communications agency in the 1980s and 1990s before the growth of its digital business since 2002. The story of any successful enterprise is defined by its ability to change with the times...to be able to understand the evolving world around it and to reinvent itself to ensure it remains relevant and has a future for the long term. The history of Deeson reflects the people that have been part of the team since 1959. From the earliest days in a rented office in Dulwich to the teams working in Castle Street and King’s Cross today, the workforce who have been and are part of the Deeson story have enabled it to thrive. The leadership of three generations of the Deeson family is a thread in that story too. When I joined the Deeson business in 2014, I was struck by how supportive and friendly the culture was. While every organisation’s ethos evolves as the people in it change over time, the values that lie at its heart stay constant - ambition, straight-talking and innate curiosity can be traced back through the business’s history. 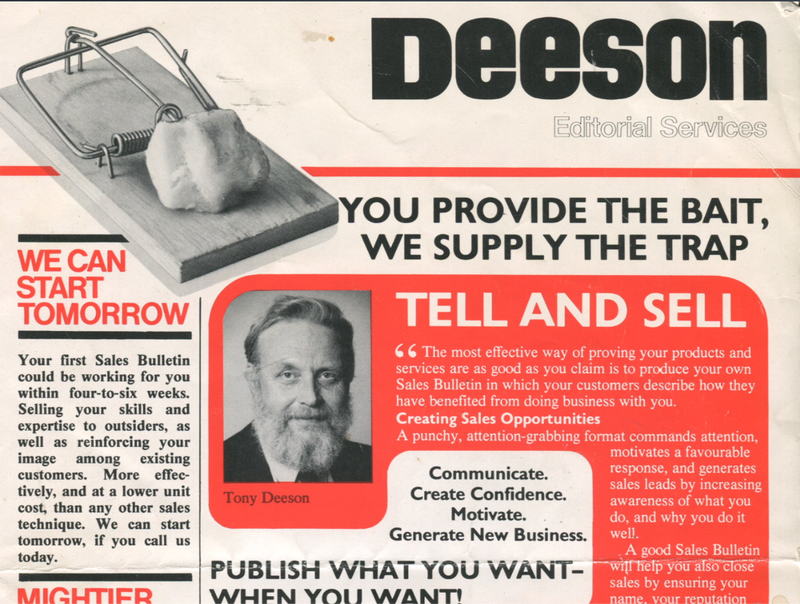 Now the next chapter in the evolution of the Deeson story is unfolding with four separate businesses taking forward the story that started 60 years ago. The digital agency - Deeson - has joined forces with Manifesto and has a bright future as part of the technology group The Panoply. The rapid growth spin-out business from 2017 - GreenShoot Labs - focuses on how AI powered conversations can help organisations achieve their goals. And finally Castle Street Holdings is the Canterbury-based property company that runs the 27 Castle Street office building.